Bok Choy cultivation was first done in China. Bok choy is used in many dishes due to its crisp texture, sweet flavor and nutritional value. It is also known as white cabbage. The Chinese commonly call Bok Choy as Pak Choy meaning white vegetable. Bok Choy has leafy blades with succulent and translucent stalks that are white in colour. The entire plant is edible and the leaf of the plant is very soft and mild. The stalk is sweet to taste. Bok Choy is used in many Chinese main dishes, soups, stir fries and appetizers. It is also used to make salads and sandwiches. 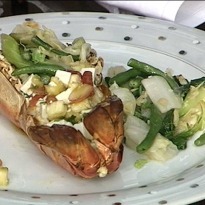 It is very often used to garnish appetizers. 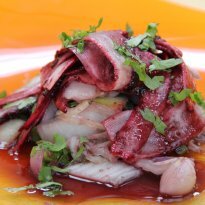 It can be added to several soup dishes to make it more nutritious. 1. 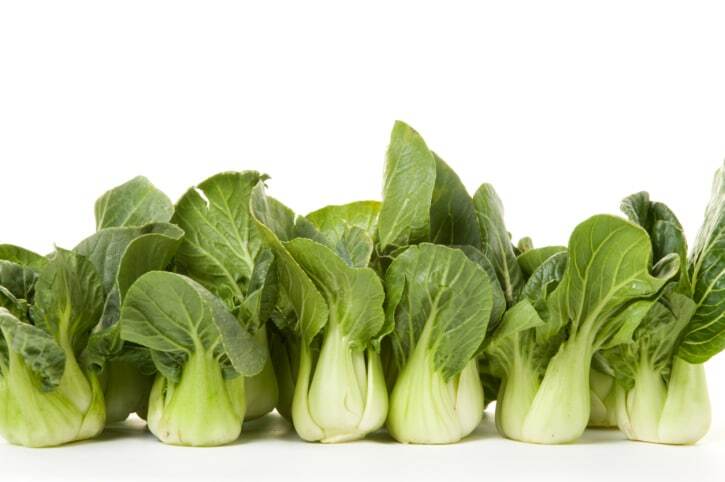 Bok Choy is low in calories and high in vitamin A, C and calcium. 2. Bok Choy free from saturated fat. 3. It is also low in sodium and a good source of folate. There are mainly two types of Bok Choy found - Pekinensis and Chinensis. Some commercial types of bok choy found around the world are Pak Choi, Choy Sum and Shanghai Bok Choi. Store Bok Choy in plastic bag and refrigerate. It will remain crispy for over a week. Bok Choy is being cultivated in China for more than thousands of years. “Bok Choy” derives its name from a Chinese word which means “soup spoon”, as its leaves look like soup spoon. 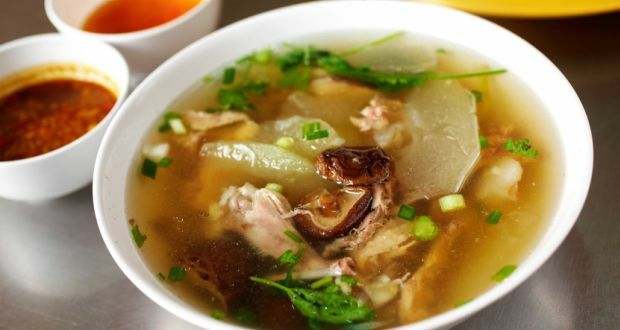 An authentic Chinese soup, the Cantonese Soup is a hearty mix of chicken and vegetables chopped into small pieces in piping hot chicken stock. 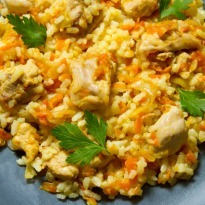 Nasi Goreng is the Balinese rendition of chicken fried rice. Chicken, cabbage, carrots, bokchoy, kafir lime leaves, balinese red paste give this recipe a unique flavor. 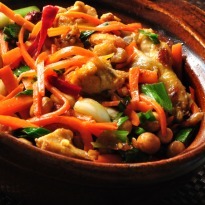 Try out this traditional chicken recipe with flavors from Bali. Boneless chicken leg meat cooked in lemongrass, stock, sweet soya and a variety of vegetables. 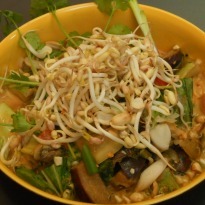 Make a super healthy vegetable Zen Soup. It's rich and delicious! Eat it cold on a summer afternoon or warm on a winter's night and it will keep you going. 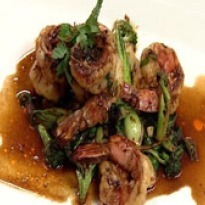 Fried shrimps tossed with broccoli, spring onions and black bean sauce. Trout fused with butter, herbs and baked perfect. 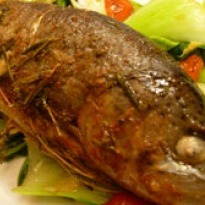 Served with mild flavored stir fried vegetables. Chinese cabbage, bok choy and red radish stirred in with seasoning and sauces, topped off with freshly made mulberry glaze. 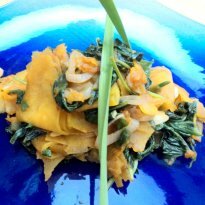 Pumpkin ribbons and morning glory are tossed in with chilli, onions and garlic, served hot with spring onions. 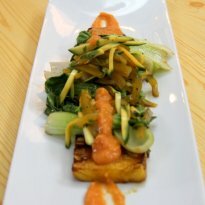 Marinated and grilled, pineapple slices are served with sauteed bok choy and raw mango slaw, drizzled with papaya-mustard puree.